According to a new documentary, American Wine Story, there is one wine above all others that is most likely to produce such an epiphany: Riesling. Not just any Riesling, it should be a dry Riesling preferably from the Alsace on the border of Germany and France, and the older the vintage the better. So be forewarned, if you don’t want to risk pulling up stakes and leaving everything behind to pursue your dreams, you probably ought to stay away from Riesling just to be safe. Conversely, if you need a little nudge to take a leap of faith, you now know what to uncork. Five years in the making, the documentary chronicles the lives of wine makers who didn’t simply have an epiphany, they acted on it. They took the leap, started over, and devoted themselves to years of hard work because wine became a life passion they could not ignore. 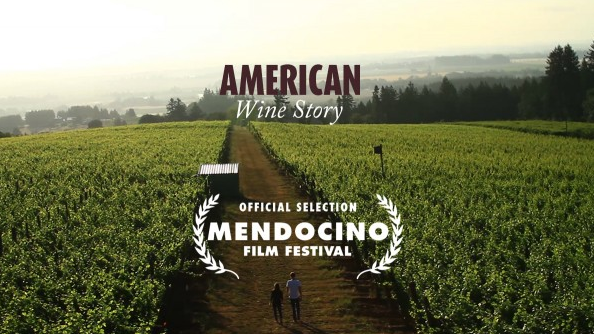 The film dispels the myth of wine making as a glamorous life, clearly spelling out the endless study and experimentation required, the intense hours of labor that are often 24/7, and the years of effort (8 to 10 or more, and that’s if you’re lucky) before you make a profit. But guess what? Instead of glamour, these people all found something far more meaningful: a life’s work that makes them want to leap out of bed each day to get their hands dirty again. The central story of the film is that of Jimi Brooks, whose sister described him as something of a nomad until he discovered wine. After learning organic and biodynamic farming techniques while working in vineyards in France, Jimi founded Brooks Winery in Oregon in 1998. He ignited passion in those around him by sharing his own. One of his colleagues commented, “He was the magnet and the cement at the same time.” Tragically, just as the winery was hitting its stride, Jimi died of a heart attack at age 38. 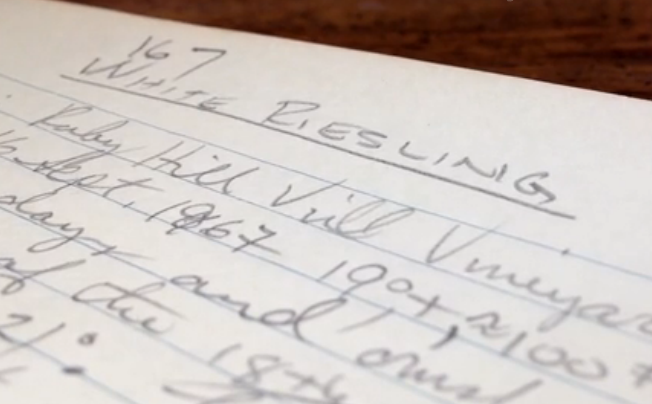 With harvest only weeks away when he died, Jimi’s winemaking friends came up with a plan to divide the duties of harvesting and making his wine that year. And they did it all for free, showing that when Jimi found his life’s calling, he also found a community of like-minded souls who supported one another unfailingly. Brooks Winery is thriving today because of the support of that community and because Jimi’s sister Janie found that keeping his legacy alive soothed her grief. In the years since Jimi’s death, she has grown the winery from 3,000 cases a year to 12,000, and found a new passion of her own at the same time. Pascal Brooks, only eight when his father died, seems wise beyond his years now at 18, reflecting on the preciousness of life and the urgency of living it to the fullest. So in the spirit of the passionate path illuminated by the winemakers in this documentary, we toast to those split seconds of clarity when you realize something you’ve been missing. We might not all be candidates for leaving our current lives behind and starting over, but I bet every one of us has a dream or two that we’ve tucked into a forgotten corner of our lives. We highly recommend that you do the following: Treat yourself to an Alsatian Riesling and watch American Wine Story…that is, of course, only if you’re willing to risk a having an epiphany. *If I have omitted anyone, it has been entirely inadvertent so please do let me know. I have been anticipating this movie for some time. I enjoyed a wonderful Alsace Schlossberg Grand Cru Riesling this past week. Guess I’ll have to go buy another! Cheers! I have no doubt you will enjoy this film, Michelle. And yes, another Riesling would be in order! Interesting post! I love this post! From my own point, I think the story behind the wine give its life, and make it more appealing. Wine is not just the wine; it also has its own life!